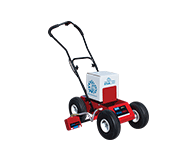 Before you purchase any striping machine, you first need to figure out if you are going be painting your fields with bulk paint or aerosol paint. 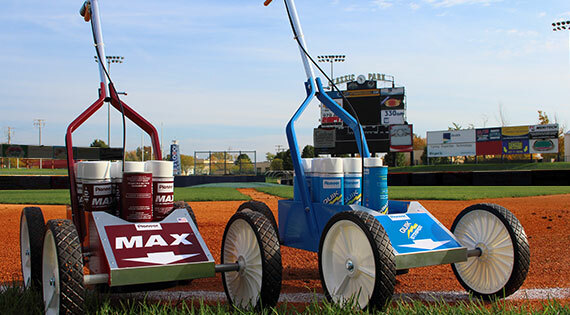 If you’re not sure, visit our natural turf paint or synthetic turf paint sections to help you find what matches your needs. 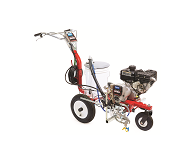 If you are going to be using bulk paint, you have the option of either an airless striping machine or a low pressure striping machine. Aerosol paints have a few options as well. You can find more specifics on each of these below. 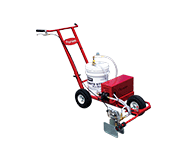 What is an Airless Striping Machine? 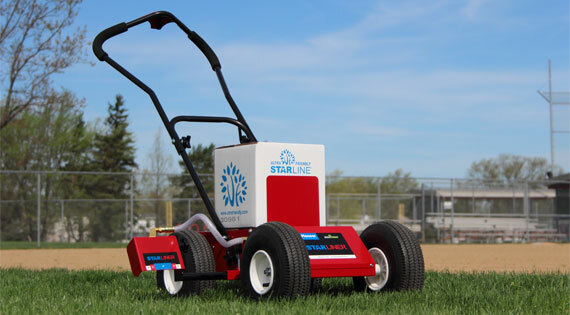 Airless striping machines can be used on both natural grass and synthetic turf. 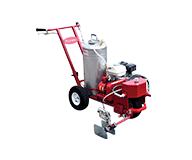 These striping machines utilize high pressure to atomize the paint as it’s sprayed out. 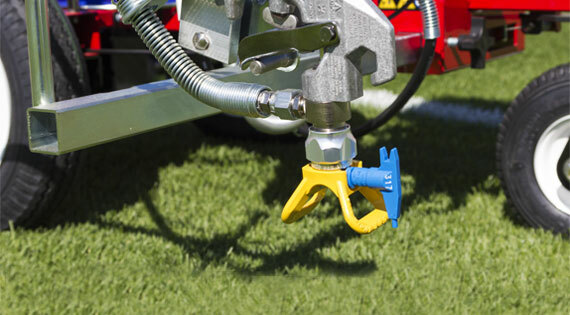 This allows the paint to fully encapsulate the turf blade – providing an even coat. 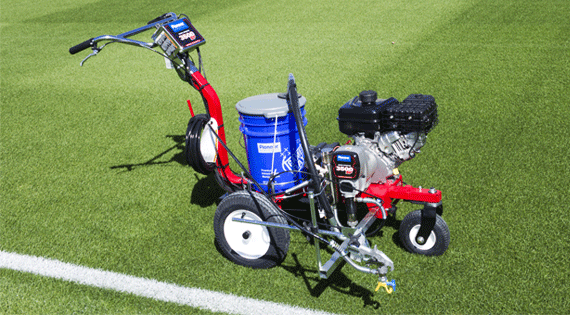 When painting synthetic turf, this also minimizes paint going into the infill. 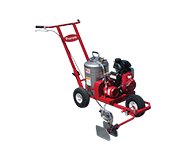 Additionally, airless stripers use less paint. 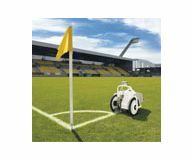 When painting synthetic turf, less paint is better. 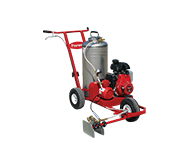 Many airless machines have a dial that allows you to choose how much pressure you want to use. 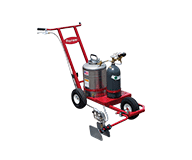 When using an airless machine, it’s common to set the dial anywhere from 800-100 psi. 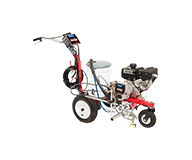 Pioneer sells numerous airless striping machines, including a self-propelled model. 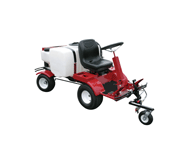 What is a Low Pressure Striping Machine? What do I use for aerosol paints?